The Three Airports Serving Washington, D.C. The Washington, D.C., area is served by three airports. Visitors to and residents of the Capital Region have the choice of using whichever airport best serves their specific travel needs. Depending on your itinerary, some airlines may offer better prices at different airports. You may also find direct flights from one airport and not from another, as well as international service. And of course, the different locations of the three airports have a significant effect on how convenient they are to use. Getting to and from National Airport is relatively easy. The airport is accessible by Metro. Use the Yellow or Blue Line to take you directly to the National Airport Metrorail station and follow the covered walkway to take you into the terminal. You can also take a cab to and from the airport. During rush hour, congested traffic can make National Airport difficult to get to, especially from the suburbs of Maryland and Virginia. When traveling to the airport by car, allow plenty of time to arrive at the terminal. A short runway limits the size of the aircraft that fly in and out of Washington National (the largest is a 767), so the airport only offers domestic flights and a few flights to Canada and the Caribbean. Washington National was among the first airports in the country to debut TSA Pre-Check. This program opens expedited screening lanes to frequent flyers of several airlines, active members of the U.S. military who show their "CAC" (Common Access Card) at the checkpoint, and passengers enrolled in "Global Entry." Getting to and from Dulles is a bit more complicated than getting to National if your destination is downtown Washington or the inner suburbs. It is relatively convenient if you are staying in the outer suburbs of Virginia. There are plenty of shuttles and taxis to transport visitors around the region. Since Washington traffic is often congested, you should plan ahead and avoid flight times near rush hour if possible. 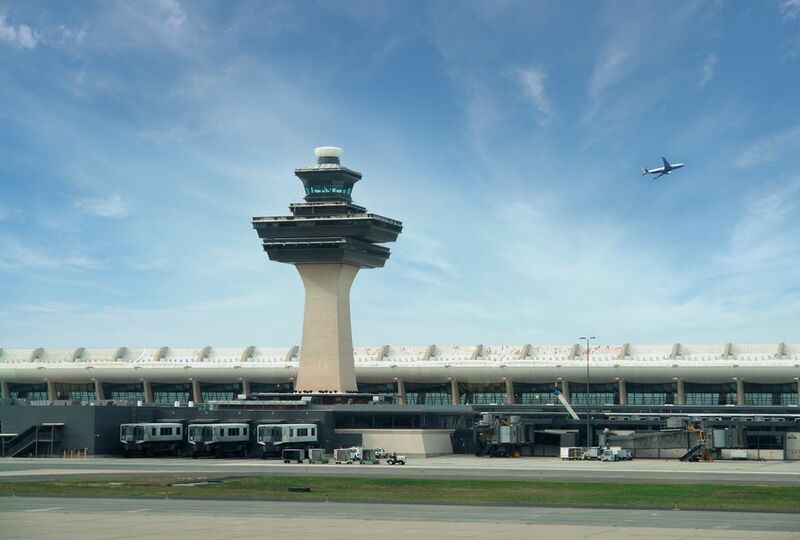 If you are connecting to an international flight, Dulles is a better choice than National Airport since it has many more international flights. Dulles is the first airport in the country to debut a system that automatically calculates wait times at the security checkpoints and displays them in real time. Since both mezzanines are connected beyond security, passengers have the option to select the line with the shorter wait. Dulles International Airport will be accessible by Metro when the extension of the Silver Line is complete, projected for 2020. Getting to and from BWI is less convenient to Washington than National or Dulles, but the MARC ​(Maryland Rail Commuter Service) and Amtrak train station is nearby, and it provides train service to Union Station in Washington, making BWI a good alternative even though it is not as close to downtown Washington as National or Dulles. BWI is a test site for the Department of Homeland Security and is used to try out new airport security screening methods. As a result, sometimes the security lines can be quite long, so plan ahead for unexpected delays.